NTB Associates, Inc. needed a responsive, mobile friendly website design that worked well on all devices. They offer several locations and those needed to be easy to find and contact. 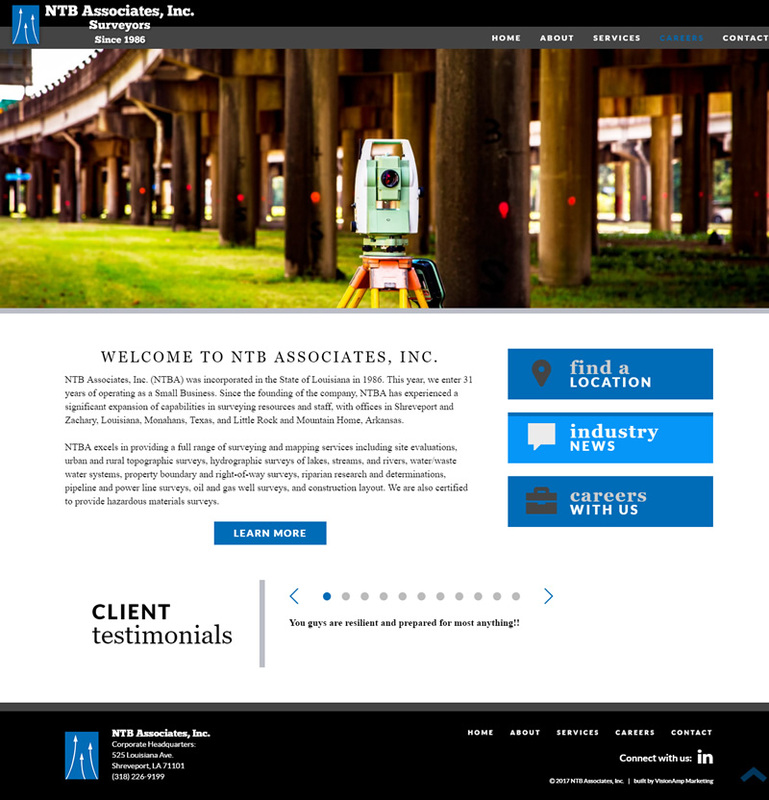 Their projects pages show current surveying projects with large imagery and details that exemplify the professional difference of NTBA. Since 1986, NTBA has provided a full range of surveying and mapping services including site evaluations, urban and rural topographic surveys, hydrographic surveys of lakes, streams, and rivers, water/waste water systems, property boundary and right-of-way surveys, riparian research and determinations, pipeline and power line surveys, oil and gas well surveys, and construction layout. They are certified to provide hazardous materials surveys. NTBA has offices in Shreveport and Zachary, Louisiana, Monahans, Texas, and Little Rock and Mountain Home, Arkansas.